Former winners of the Telstra Australian Business Awards are urging Australian businesses to get their submissions in before the April 4 deadline in two weeks. Pam Brook, recipient of the 2007 Telstra Australian Business of Year award, tells hopeful participants that one of the most difficult lessons an entrepreneur would learn is how to manage business performance without compromising quality. Brook co-founded macadamia products manufacturing company Brookfarm with her husband Martin. Their company was the first food manufacturing company to win the prestigious award. Six years later Brookfarm is now a supplier to the independent retail sector, foodservice industry, airlines throughout Australia and exports to the US, Europe, Singapore, Japan, New Zealand and Dubai. “Initially we thought it would take just six months to have our product on the shelves but it took more than two years of intensive research and development – baking and testing – before launching our first mueslis,” Mrs. Brook said. Telstra Business Group Managing Director and awards ambassador Will Irving said the competition is a venue to celebrate and reward the entrepreneurialism and leadership that is essential in the country’s economy. “The Telstra Australian Business Awards recognise those business founders and leaders who have turned ideas into a commercial success. The awards are also instrumental in growing and establishing sustainable businesses by providing each entrant with an individual Business Health Check report that evaluates their performance against international benchmarks,” said Irving. He shared that since 1992, eight out of the 20 winners of Telstra Businesses of the Year have been acquired by larger businesses because they are so attractive. Meanwhile Mrs. Brooks says a ‘can-do’ attitude will distinguish a winning entrepreneur from the pack. . “Success comes through developing your skills as you grow and doesn’t happen overnight. Embrace the challenges that are thrown at you and create the solutions to make your business grow,” she said. 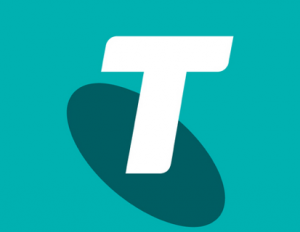 The 2013 Telstra Australian Business Awards have five award categories including the Start-Up Award, Micro-Business Award, Small Business Award, Medium Business Award and the Regional Award. State and territory winners will go on to the national awards in Sydney on 22 August 2013 where the 2013 Telstra Australian Business of the Year will be announced.